Because ROF refurbishes their used office chairs in-house, they are able to customize your used office chairs with the powder coating and fabrics you want, or just restore them to their original condition. 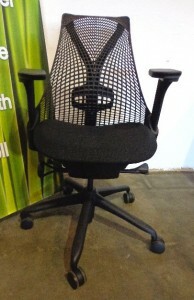 Plus, you can also choose to purchase your used office chairs as-is, often for an even more economic price. Regardless of which style of used office chairs you choose, you can be sure that when you buy from ROF, you’re getting the very best in quality, durability, and customer service. Note that due to fluctuating inventory, pictured items may not always be available. However, we offer similar choices to help you find what you need.